Double Halo Cushion Frame Pendant. 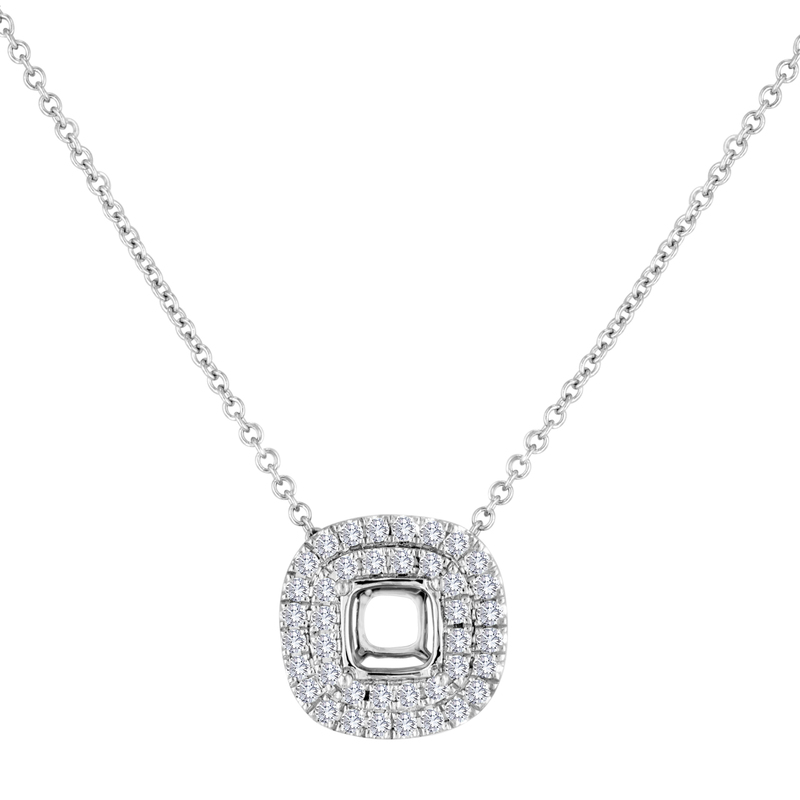 Pendant accommodates a 7.0x7.0mm Cushion Diamond or a 7.50mm Round Diamond. Hidden Bail behind pendant to accommodate a slide through chain.